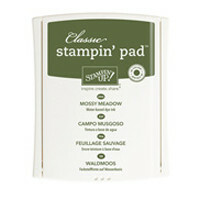 tags: Christmas, Classes, Online Shopping, Stampin' Up! Already! It’s coming sooner than you think! We are going to be making one Christmas card each week from now till the end of the year. I was inspired by one of the samples in the new Holiday Catalogue to create this card (Catalogue starts on the 1st September so contact me or your demonstrator to get your copy). I hadn’t received my pre-order so I used what I had. I cut a square in Whisper White card using one of the Squares Collection Framlits Dies and stamped the greeting from the Sassy Salutations stampset onto the bottom of the Whisper White card using Mossy Meadow ink. 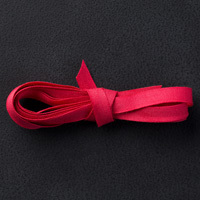 I wrapped the card with Real Red 1/4″ Cotton Ribbon and tied a knot. I stamped a square of Whisper White card with the single tree from the Lovely As A Tree stamp set using Mossy Meadow ink (I made sure that the card was slightly larger than the cut out window). I stamped the image multiple times without re-inking. I wanted to create a feeling of depth, so just kept adding images until it had the look of a “forest”. I attached the trees behind the square cut in the card front. The card front panel is attached to scored and folded Real Red card using dimensionals. I stamped the same tree onto the lower left hand corner of Whisper White card three times without re-inking and attached to the inside of the card. I love this card and can imagine it in many different colours, can’t you? 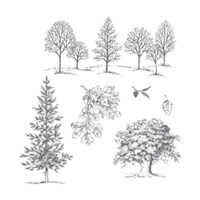 from → Christmas, Classes, Shop online, Stampin' Up!